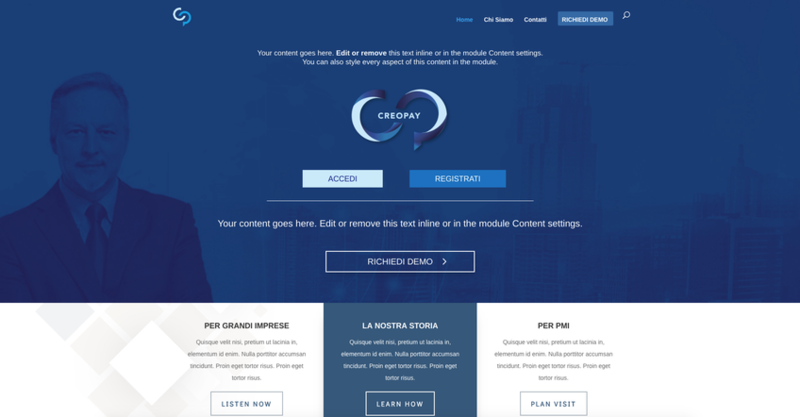 CREOPAY is a PATENTED fintech tool based on a smart “on cloud” application and that will give you the immediate possibility to provide to your customers an alternative to pay when the contract-based source is not working. Just in one click you will be able to manage thousands of customers and payments. It's a stand alone solution, plug&play, smart, ease-to-use, with a dramatically effective hit rate on customers and collected. It can work on Past-Due Payments, unlikely to pay and NPE.